A software firm reckons it has definitely cracked the forthcoming BD+ copy protection on Blu-ray discs even though Sony says it has beefed up the protocols involved. Confident developer SlySoft says it has the ability to get round the Blu-ray camp's latest security protocol - despite its latest AnyDVD software only cracking Blu-ray's older security system, AACS (Advanced Access Content System). 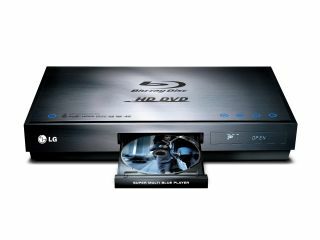 Currently, Blu-ray disks are digitally encrypted using that system, also used by the HD DVD camp. But BD+ is a new layer of security that is exclusive to Blu-ray. "We already found a way to crack BD+ and we have just turned to fine-tuning," said James Wong, SlySoft's head of development in a statement. "I should really think about hiring a bodyguard now, since this product won't please everybody." Indeed. What SlySoft is planning is illegal in anybody's language, so it's strange that SlySoft gives out its location online. It has an office in Cork, Ireland, as well as a base in the West Indies. Sony has already sped up its plans to introduce BD+, prompted by studio concerns over their property. In simple terms, BD+ adds an extra layer of security by executing computer code on playback devices that can detect possible security threats. Sony claims it is more robust than AACS because of its adaptability. However, the first ripped HD DVD and Blu-ray discs appeared on file sharing networks in January. Since then, pirate copies of both high-definition formats have become widely available. As we reported back in May, a cyber-riot broke out on news-aggregation website Digg.com when the site's administrators attempted to prevent users from posting a 16-digit encryption code used to protect HD DVD disks. The Digg uprising is just the latest and most high profile skirmish in the ongoing battle between movie studios and web users who fear digital rights management technology has become too restrictive. SlySoft released AnyDVD 6.1.9.3 earlier this week.